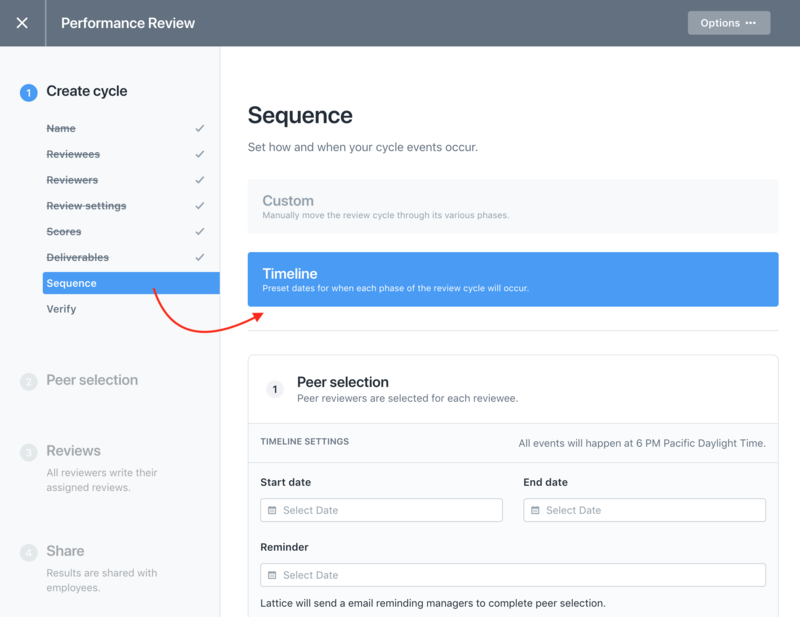 When creating a review cycle, you have two options for how it progresses through each phase of the cycle. You can either manually move it through each phase or automate it with a pre-set schedule. 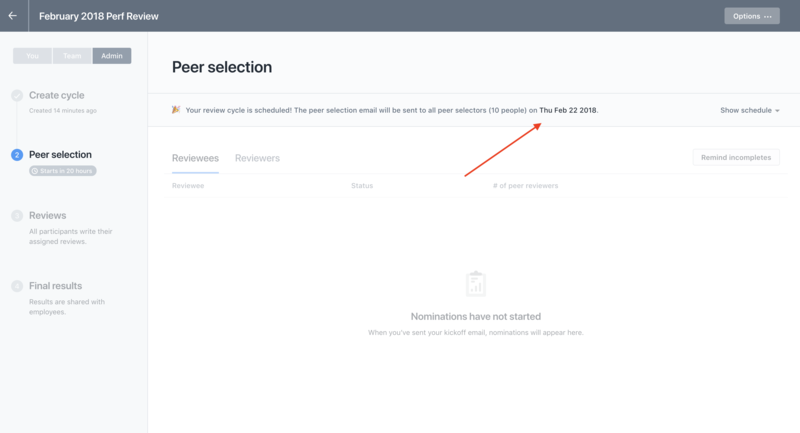 This, for example, means that you can set peer selection to close at a scheduled date ahead of time. 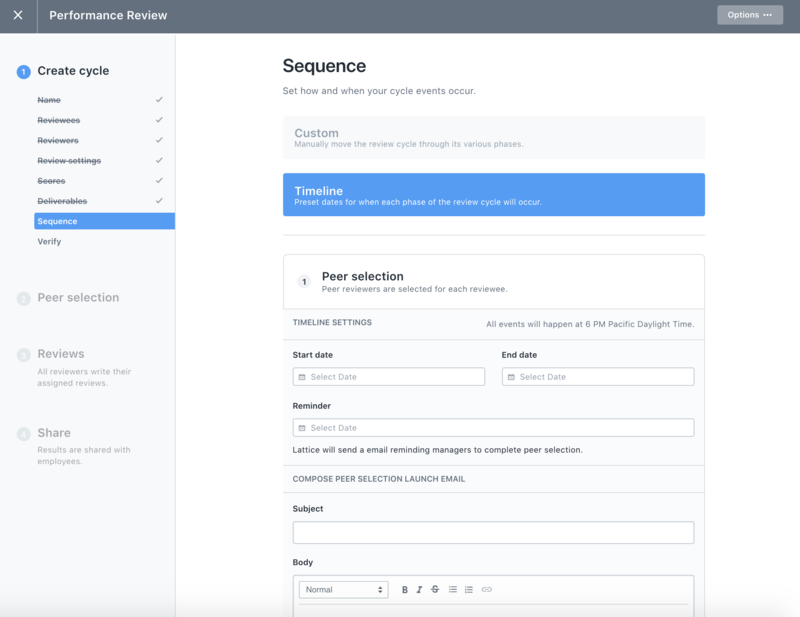 You can set up your review to run on an automated timeline while you're first creating the review cycle by navigating to the the "Sequence" section. 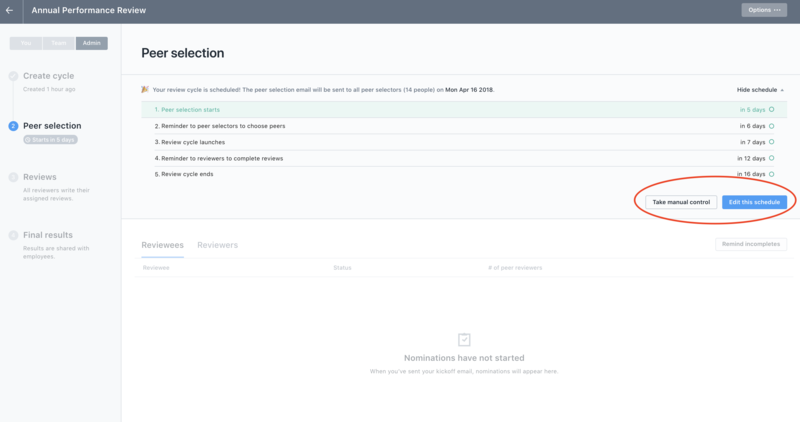 By choosing "On a timeline" you then unlock further options to create a timeline for your review cycle to fit your scheduling needs. If you are setting up a review cycle that does not include peer reviewers, then you'd only have the options to set dates for steps 4 and onwards. Please note: You can schedule a review cycle up to 3 months in advance. All events will happen at 6pm in the timezone of the admin that created the review cycle. After filling out all the dates, finish setting up the rest of the review cycle normally. In the verify step, you'll now be able to see the schedule that you've created for this review cycle. 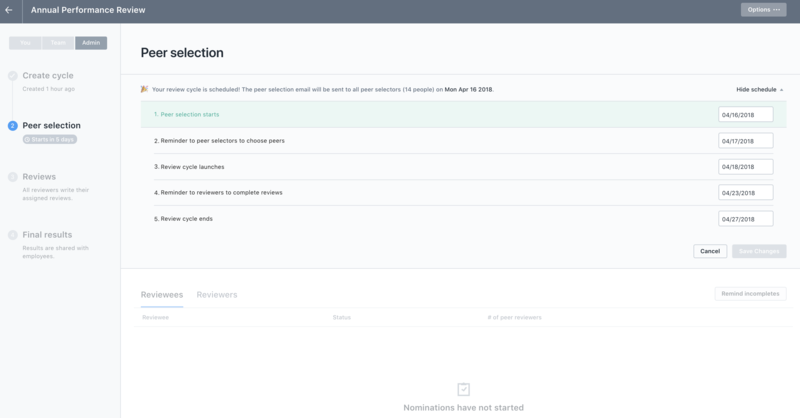 After the review cycle is created, there'll be additional information in the header about what the next stage of the review cycle is and when it will happen. By expanding out the header, you can see the schedule in its entirety as well as edit and remove the schedule. Clicking "Edit this schedule" turns the schedule into editing mode, and you can change when you want each phase of the review cycle to end. 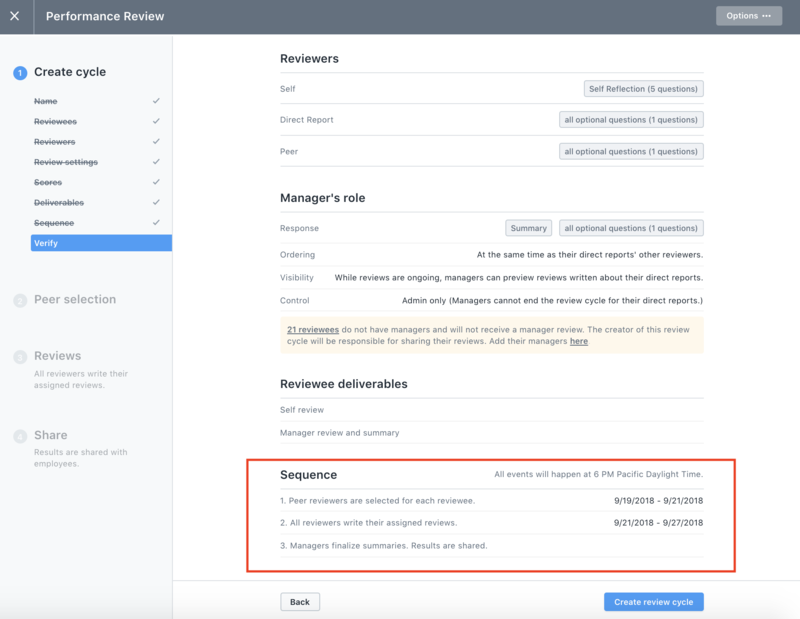 If you decide that you don't want your review cycle to run automatically anymore, clicking "Take Manual Control" will return it back to your control, letting you move it through the phases manually. Once you take manual control of a review cycle, you cannot put it back on a schedule anymore.